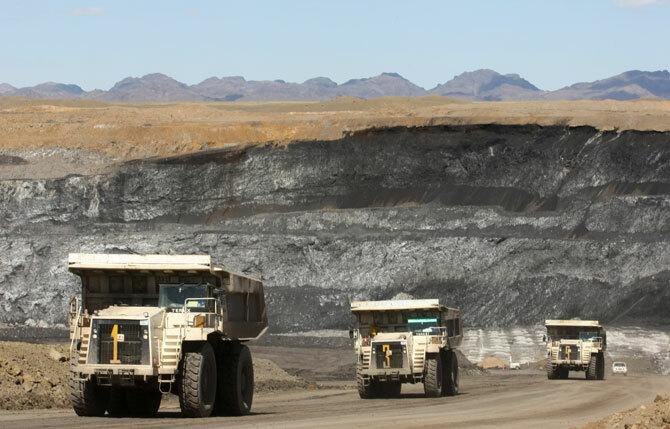 Erdenes Tavan Tolgoi, Mongolia’s largest state-owned coal miner, has trimmed its debt to a Chinese customer to USD 130 million from USD 350 million, and aims to pay the remaining amount due this year. The Baofu highway, a road that serves the mines in China’s coal producing hub of Ordos was largely empty on a recent visit. 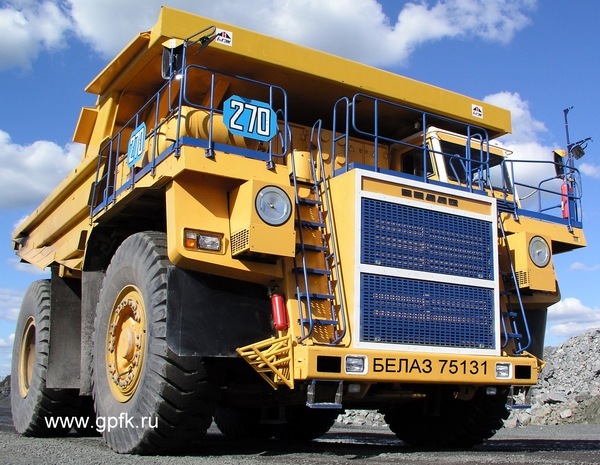 BelAZ dump trucks with the lifting capacity of 110 tonne have been put into operation at the coal minefield Tavan Tolgoi in the Gobi desert in Mongolia. 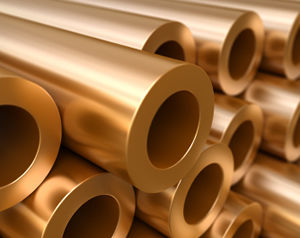 Kincora Copper’s Bronze Fox copper project in Mongolia has been boosted by the European Bank for Reconstruction and Development’s backing for a nearby project. 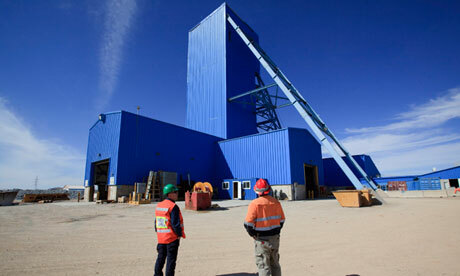 Reuters reported that an influential group of Mongolian backbench lawmakers has urged Prime Minister Norov Altanhuyag to seek talks to trim mining giant Rio Tinto’s stake in the USD 13 billion Oyu Tolgoi copper and gold project in the country’s South Gobi region. 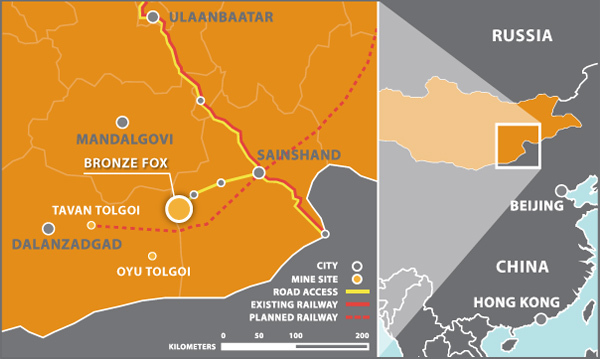 SouthGobi Resources Mongolian subsidiary SouthGobi Sands has launched an investment dispute against the Mongolian government, citing the Mineral Resources Authority failed to execute its pre-mining agreements covering the Zag Suuj and Soumber coal deposits. 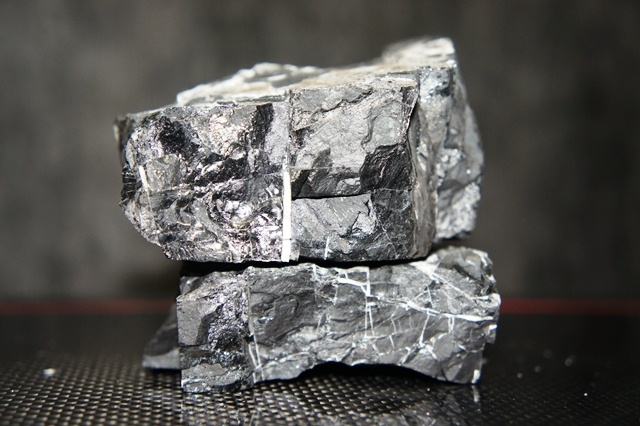 Reuters reported that Sojitz Corp aims to more than triple Mongolian coal sales to China within three years as it seeks to handle 10% of the country’s growing sales of the mineral to the world’s top consumer. 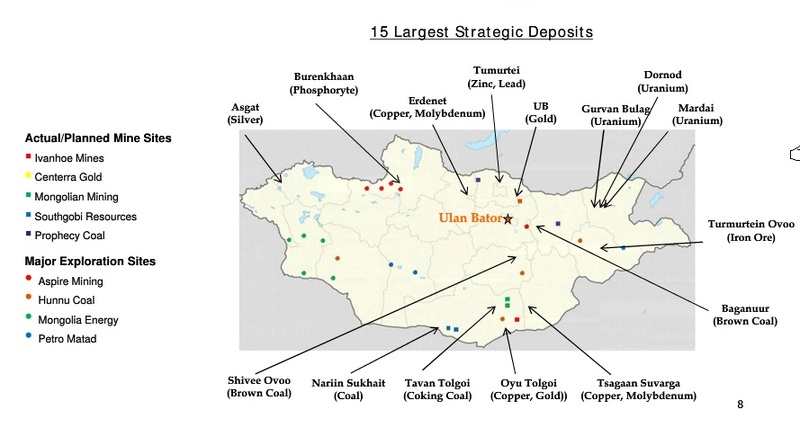 Hailed as one of the last frontiers for resources exploration, the central Asian country of Mongolia is thought to have USD 1.3 trillion in untapped mineral deposits, including coal, copper, iron ore, zinc and gold, beneath its vast deserts and steppes. 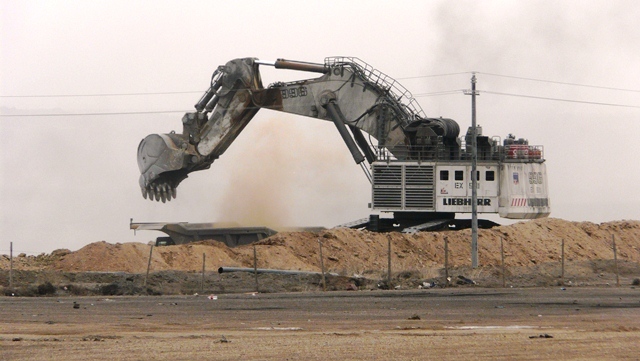 Mongolia has overtaken Australia to become China’s largest coking coal supplier in 2011 due to rapid ramp up of its coal production and competitive coal export prices. The horde of miners looking to cash in on Mongolia’s vast mineral wealth and close proximity to China has just got bigger. 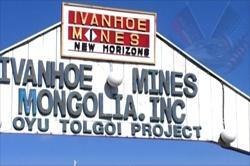 Ivanhoe Mines said that it will scrap its shareholder rights plan, clearing the way for its single largest shareholder, Rio Tinto to take over what could be one of the world’s largest copper-gold mines. 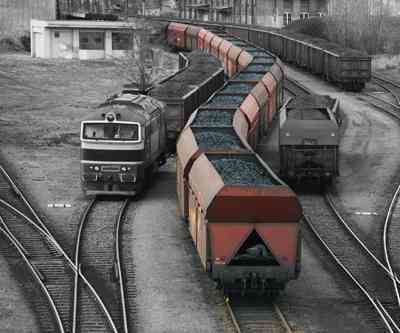 Bloomberg reported that Billionaire Mr Ziyavudin Magomedov Summa Group won the right to build a RUB 44.3 billion section of a railroad to coal fields in East Siberia near deposits to be developed by Evraz Plc and OAO Severstal. 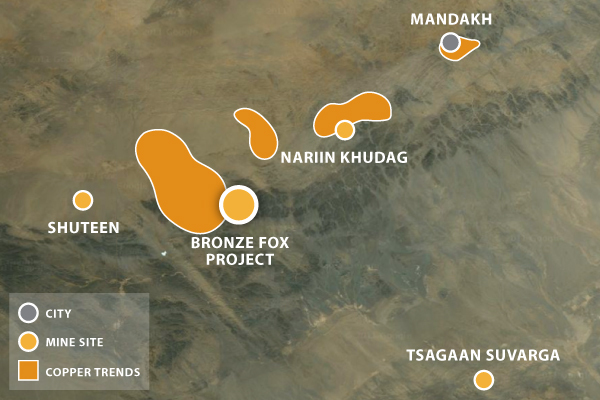 Kincora Copper’s flagship asset is the Bronze Fox deposit in Mongolia which is in the same geological neighborhood as the giant Oyu Tolgoi mine just over 100 miles to the North East. According to Mr Huang Jingan, President of the China Coking Coal Industry Association at a summit forum about the country coking coal supply and demand situation held in Xinjiang on October 22 that Mongolia has replaced Australia to be China’s largest coking coal supplier. TVN Corporation shares have soared on the back of the full coal drilling results from the Nuurst Thermal Coal Project in Mongolia. The coal seam development has now been extended to over 1.6 kilometres, with a third significant 102.6 meter coal sequence intercepted. 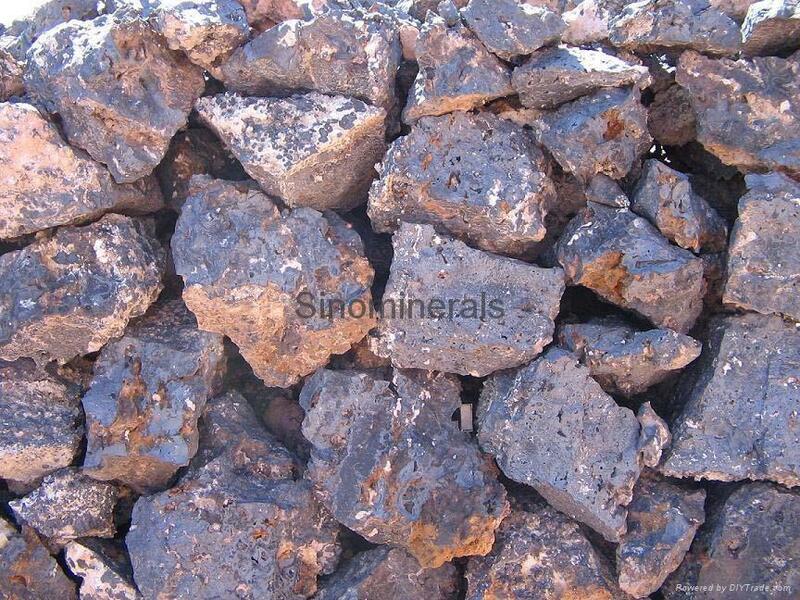 The cumulative down hole coal seam thickness is 81.4 metres thick. 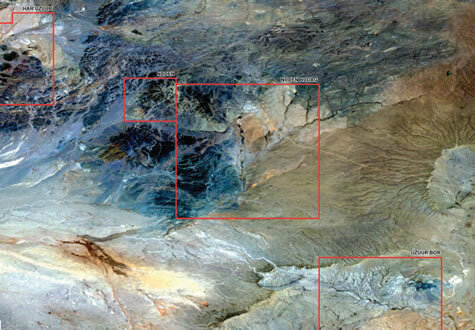 Canadian based exploration stage company Lucky Strike Resources reported that it has signed definitive agreements with five private Mongolian companies to acquire an 80% stake in six mining exploration licenses and coal properties.